Brooklyn-based Spritzer – started by multi-talented songwriter Matt Meade of Friend Roulette – has been turning out tunes in an assortment of genres for just a short time. But the creative energy is hardly lacking, as the first two songs they recorded – “Melt” and “don’t die, kill me” – were released on 7″ vinyl on Paper Garden Records. The upcoming Spritzer EP is titled Getaway, and is comprised of 4 songs about a fictional person whose secret significant other passes away. This person finds peace with the situation, not by confiding in others (as they can’t), but by finding themselves at a bar called The Twilite. 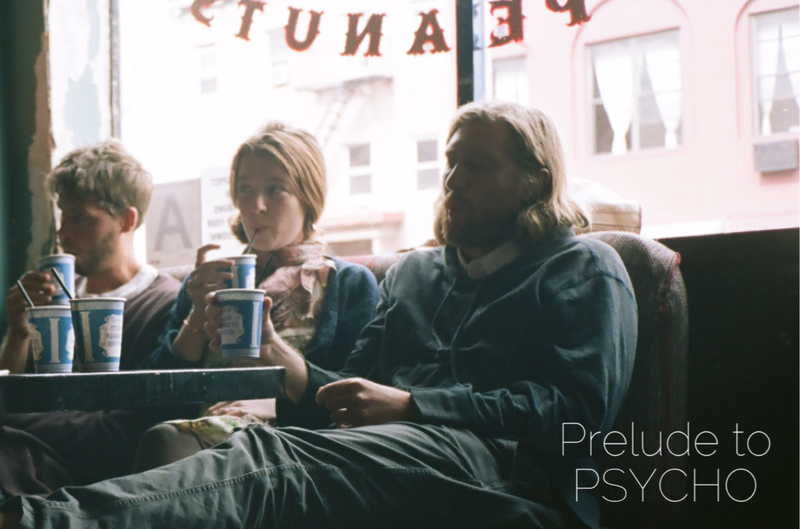 We’ve got the premiere of the third track on the EP, titled, “Prelude to Psycho”. The track is upbeat – and then insanely eery – from the beginning. The whirring instrumentals add a depth that make it feel much more pop rock n’ roll, but it still speaks quickly to our adrenaline-fueled hearts with crisp, clear, melancholy vocals. It’s a strange kind of downer lyrically, wrapped in finger snapping, light as a feather sound.